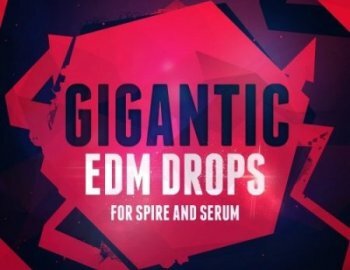 Mainroom Warehouse Presents ‘GIGANTIC EDM Drops For Spire And Serum’. Mainroom Warehouse bring you another brand new series featuring two of the best vst Instrument powerhouses ever produced Reveal’s Spire And Xfer’s Serum bringing you 50 x Spire Patches And 50 x Serum Patches also included in this awesome pack is 50 x Gigantic EDM Drops MIDI Files and 25 x Gigantic EDM Kicks In Key. Inspired by the worlds top EDM artists from around the world including Martin Garrix, Jay Hardway, Hardwell, Tiesto, W & W, DVBBS, Nicky Romero, David Guetta, Axwell, Borgeous, Swedish House Mafia, Showtek and many more.